Reed Harris are hosting a very exciting pop-up shop created by Amelia Carter during London Design week. Opening on Monday 5th March the pop-up, curated by Amelia will include Angela Wickstead, World Secret Shoes, Nicholos Oblensky Design and Imaginary Friend. Amelia Carter’s eponymous company was founded in 2011 and offers tailor made services in Interior Design & Architecture, Home Styling and Interior Consultation. Amelia was selected to design a room for Holiday House at the end of 2017. 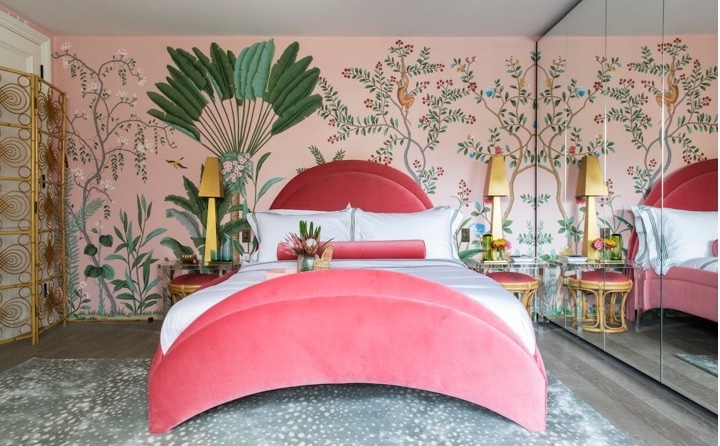 Her ‘Amazonia Bedroom’ was one of the most talked about of the event receiving coverage in countless big name publication around the world; as part of the pop-up you will be able to ‘shop the look’ from the bedroom as well as gain inspiration for other rooms in the house. The shop will be open daily from 10am – 5pm from Monday 5th March until Friday 9th March.